Traxxas Maximum Mud Bronco Build Part 1 « Big Squid RC – RC Car and Truck News, Reviews, Videos, and More! 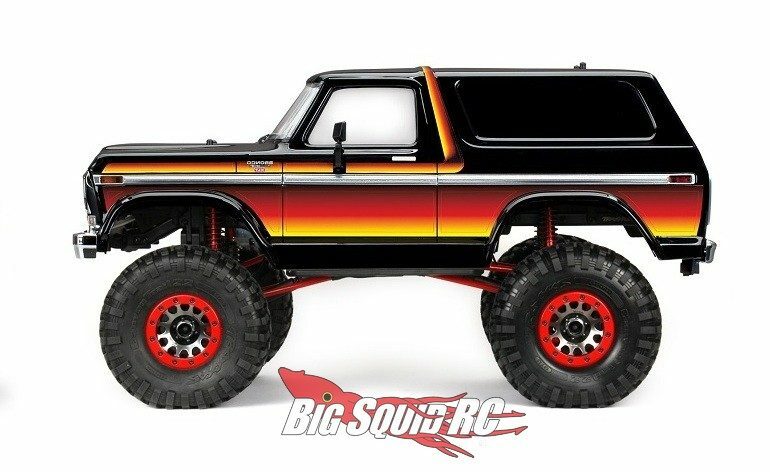 The folks over at Traxxas are working on a custom build for their popular TRX-4 Ford Bronco. The new build is titled Maximum Mud Bronco Part 1 and shows you how to modify your stock rig for serious performance in mud. Part 1 of the build series shows you how to bolt on larger 2.2″ tires, plus a number of other upgrades to beef up and improve mud performance. The Traxxas crew bolts on a lift kit to increase tire clearance, then they install one of their 400 ounce-inch high torque servos to make sure the front wheels are always pointed in the right direction. Use this link to see all the upgrades installed during the Traxxas Maximum Mud Bronco Build Part 1. More installments in their Mud Bronco build are coming soon. Until then, why not hit up This Link to read more Traxxas news on BigSquidRC.